Beaches ( ✔), Lush Tropical isalnds ( ✔), Cristal clear water ( ✔)... Affordability ( ✔ ✔). Palawan province is made up of 1,780 islands and islets, rocky coves, and sugar-white sandy beaches. As of September 2016, Palawan Island was rated the "Most Beautiful Island in the World" as voted by respective readers of rival travel publications Conde Nast Traveller and Travel + Leisure. To top it off El Nido, located at the northern tip of the island, was also currently rated the "Most Beautiful Beach in the World" by Conde Nast Traveller readers. Bonus: The Philippines were a Spanish Colony so Spanish is their second language in many parts of the country. So brush up on your Spanish if learning Filipino seems daunting! Best time to visit: March to early June (July and August is their rainy season). Located 65km into the Caribbean sea off the coast of Honduras, Roatán island is a secluded gem. Situated at the southern tip of the second biggest barrier reef in the world (The Mesoamerican Barrier Reef), Roatán offers some of the best and most affordable diving in the world. If you have been thinking of doing your PADI Open Water then this is the place to do it. Check out http://barefootdiversroatan.com for pricing and more info on dive sites. It's not all about the diving though! Roatán has some incredible picture perfect beaches for those of you who want to post up under a palm tree with a chilled coconut. Beaches ( ✔ ✔ ), Crystal clear water ( ✔). We know what your thinking..."really...the Bahamas?" and we say YES! Consisting of over 700 islands with picture perfect beaches and the infamous swimming pigs what's not to love. The Bahamas have been on the radar for a long time and for some reason have a stigma of being expensive, but think again. With the introduction of airBNB and some new direct flights from throughout North America you can now fly to the Bahamas for less than $400-500 CND. Currently there are over 80 airBNB rentals for 2-4 people for under $100.00 CND a night throughout the main island and Nassau. Bonus: Go in the shoulder seasons (November and April) when prices are low and weather is still good. 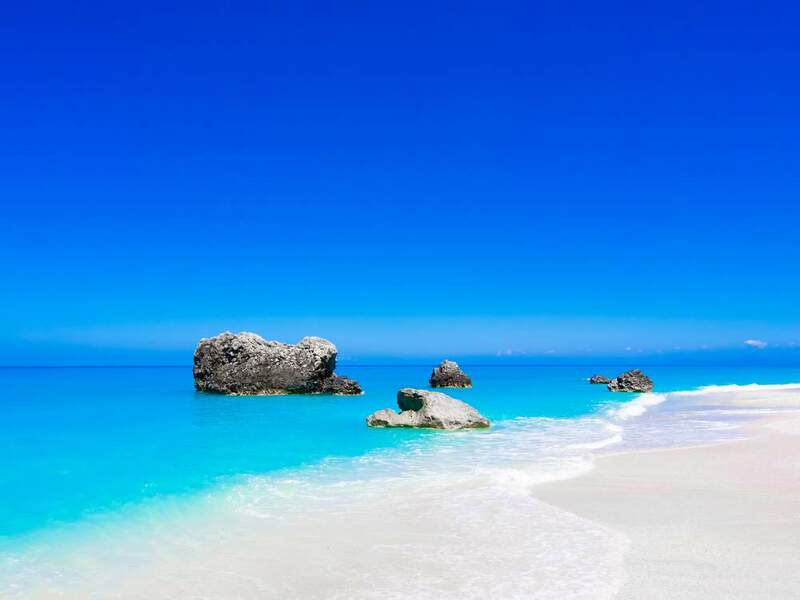 (Last year we found flights from Toronto - Exuma for $198.00 roundtrip). Spend the morning walking through rolling tea fields and the afternoon surfing. Sri Lanka has plenty to offer from culinary wonders to spending the day riding an elephant. It is an eclectic mix of Indian and Asian cultures that will be a sensory over load for the most well travelled of travellers. Fun fact: Sri Lanka produces on average 330 million kg of tea/year or 23% of the worlds total tea supply! Best time to visit: The west and south coasts and hill country is from December to March, while the best weather on the east coast is from April/May to September. Sri Lanka's position close to the Equator means that temperatures remain fairly constant year-round. Remember Soulstice babes...every trip requires a new bikini...or two! Make sure to visit www.soulsticeswim.com for all your bikini essentials. 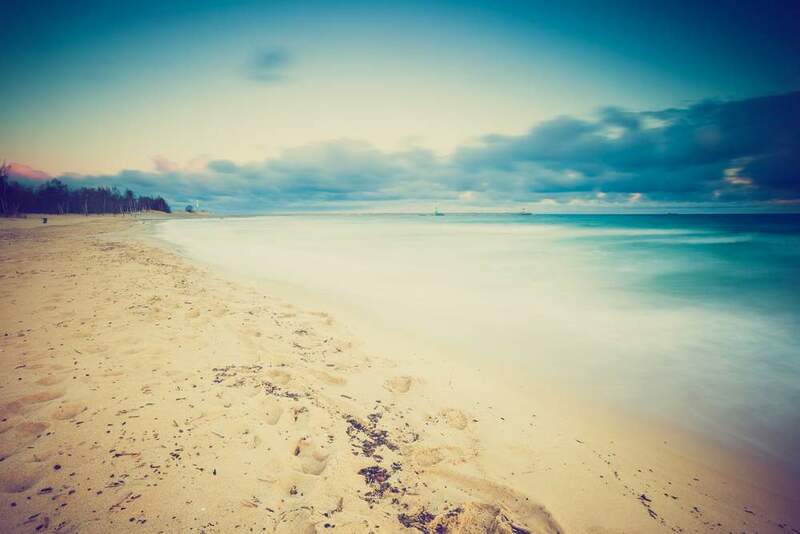 Beach destinations can be pricey...especially in Europe, so bare with us. These may not be the absolute cheapest in the world in comparison to SE Asia and the Caribbean, but this is Europe and each one of the following offers excellent value for the experience. Poland isn’t a place most people would consider for a beach vacation, yet on the northern coast is an area called the Polish Riviera. Along the Baltic coast, you’ll find miles of sandy shores, including some of the biggest sand dunes in Europe, and beach resorts that cost a fraction of the price of their Mediterranean counterparts. Places such as Sopot, Gdansk, Gdynia or Ustka are some of the best places to spend a beach vacation in the country. Ustka is particularly famous among German tourists (the border is just 250 km away). There are two beaches in Ustka, out of which the Eastern Beach has more facilities, bars and restaurants, as well as a waterfront promenade. - Food and drink are equally affordable; a beer won’t set you back more than about $2.00 CAD. 1.00 CAD dollar equals 4.26 Polish zloty, which puts dorm rooms in Sopot under $20.00 CAD, even in high season. Rooms in Sopot start at $60.00 CAD per night (double occupancy), while double rooms in seaside hotel in Ustka start at around $65.00 per night. Food and drink are equally affordable; a beer won’t set you back more than about $2.00 CAD and an entree at even the poshest beachfront restaurants is generally under $16.00 CAD, with casual fare much cheaper. The closest large airport is in Gdansk. It is a hub for WizzAir, which offers flights from various large cities in Europe. Ryanair also flies here. If you fly from North America, you’ll have to make as stop in another city, like London or Warsaw, and then continue on a low cost carrier. For years Malta has remained one of the biggest secrets in Europe. It doesn’t get the same attention as France or Italy, but it has its fair share of superb beaches and excellent diving conditions. The island most travelers visit in Malta is Gozo. Aside from the beaches, it also offers historic fortifications and interesting churches. Dwejra is considered the best beach in Gozo, and most travelers come here for the snorkeling, but you’ll also find many travelers just hanging on the beach soaking up the sun. Gozo’s off-the-radar status helps keep the prices low. Rooms in Gozo start around $65 per night during the summer months. Malta has its own airport, which is a hub for Air Malta and Ryanair. If you fly from North America, you need to make a stop in London, Amsterdam or Rome, before continuing on a low cost carrier. Alternatively, you can take the ferry from Catania (Italy) or Pozzallo (Italy) to get to Malta. Greece has been known for years as a cheap beach vacation destination. It has long offered a good alternative to the pricier Italian, or French, beaches, and has become even cheaper lately thanks to the country’s economic woes. On the mainland, the entire Halkidiki area is your best bet if you are on a low budget but still want crystal clear water and white sandy beaches. Book your vacation ahead of time (typically by mid-March or April) to get even bigger discounts. If you are looking for cheaper islands, Thassos is a good choice, but so are Zakynthos or Corfu. Most of the Greek islands are served by seasonal flights run by various European low cost carriers. Or you can fly into Athens or Thessaloniki and then take a domestic flight or a ferry to the island of your choice. Portugal shares Europe’s Iberian Peninsula with Spain, and competes with its neighbor, as well as Italy and France, when it comes to beach destinations. Like those other countries, it also offers excellent regional cuisine, several regions for wine tasting, and a diverse landscape that ranges from rocky cliffs to white sand beaches to verdant valleys to rolling plains. 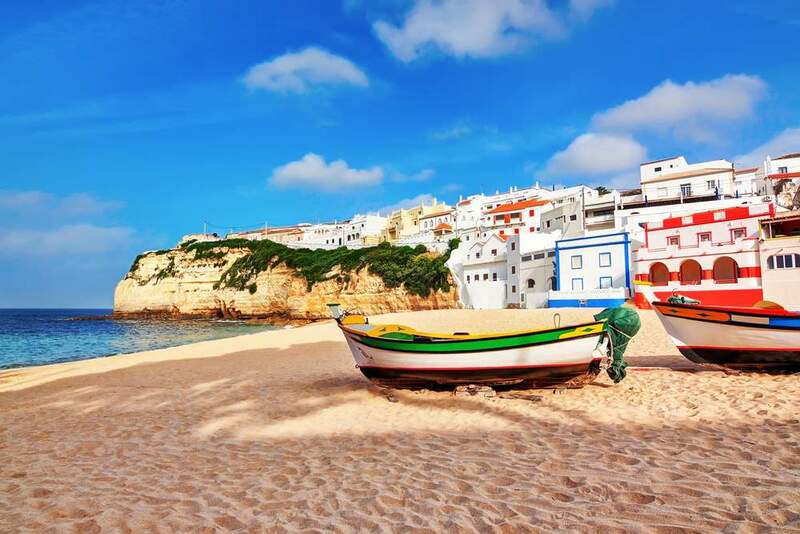 The Algarve, with its beautiful beaches and picturesque coastline, is Portugal’s most popular vacation destination and offers a variety of choices from built-up (and more crowded) beaches lined with resorts to secluded slices of sand that you may have to work a bit harder to reach. The island of Madeira is also a good choice, especially since you can travel here year round and still enjoy the sun and the sea. Beach accommodation in a single room in a guesthouse can be had for $40.00 CAD or less in many towns of the Algarve, and, like elsewhere in Portugal, food and drink is a bargain when compared to the costs of neighboring Spain. A glass of port or local wine can be found for about 3.00 euros and a platter of fresh local fish is generally under 15.00 euros. Many major airlines and low cost European carriers fly into Portugal. If you fly from North America, you’ll most like land in Lisbon. And from there you can take a domestic flight to the desired destination or take a bus or train. If you are already in Europe, you can fly into plenty other smaller airports; Faro is one of the most popular of them. Located on the shores of the Black Sea, Bulgaria offers a cheaper and warmer beach destination than its neighbor, Romania. It’s just as cheap as Greece’s low cost resorts and is also a good alternative to the Turkish Riviera. 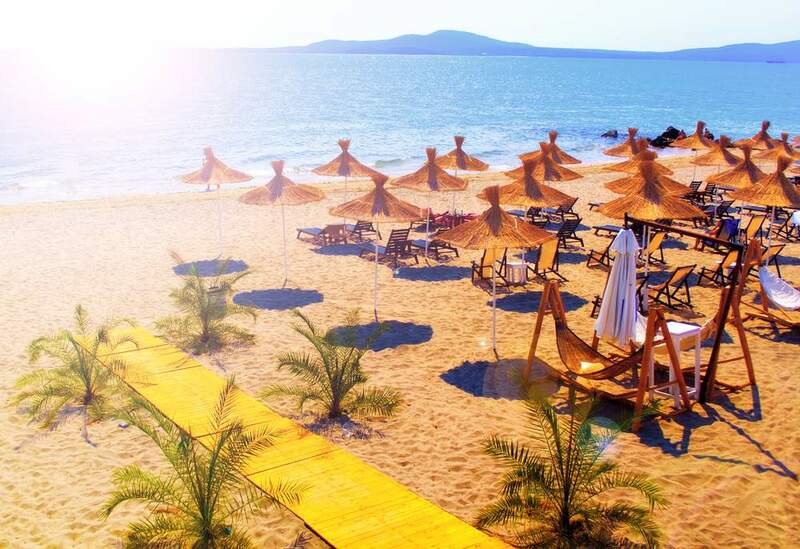 Albena, Balchik, Nessebar and Sunny Beach are good options for those on a low budget. There are some sights to see in Varna and Balchik, but, in general, all these resorts offer the typical sun, sand and partying experience, on a smaller budget. -- It’s just as cheap as Greece’s low cost resorts and is also a good alternative to the Turkish Riviera. Accommodation in Albena starts at less than 45 Bulgarian lev, or about $30.00 CAD in 2 star hotels, breakfast included. In Nessebar, rooms start at just over $25.00 CAD per night in 2 star hotels. Dining and drinking are just as inexpensive, with a good dinner for two with glasses of wine available for under $25.00 CAD; a beer will set you back about a $1.00 CAD in most places. You can fly into either Sofia or Varna and then travel by car or bus to one of the resorts. Varna is closer to the Black Sea Coast, but flights to Varna are usually expensive. Alternatively you can fly into Bucharest and then take a bus to one of the resorts. By Jesse Delgrosse @gringosontherun. Follow Jesse's adventures @jdelgrosse. Make sure to "LIKE" our Facebook page and follow us Instagram. Feel free to tag us in all your Gringo adventures. Lying is almost always wrong but when you're traveling there are certain situations where it's a good idea to do so. As travelers, we're often prone to scams harassment, and many other terrible experiences and a simple white lie is often all it takes to deflect this unwanted attention. "No, This Isn't My First Time Here"
This lie can be used in many situations and to avoid all kinds of unpleasant experiences. When you take a cab from the airport, your driver will likely ask you if it's your first time in the city. While it can be tempting to say yes and see if you can gather some insider knowledge, it's best to say that you've been here before. If the driver knows this is your first time in a city, he can take you on a long and winding journey and make you pay double. If the driver thinks you've visited before, he'll be much more likely to take you directly there. This can also be used when meeting locals. If someone finds out it's your first day in a city, they can use that to scam you. You're basically telling them that you don't know where anything is, you don't know how the city works, and you're an easy target. "Yes, I have a Boyfriend"
This is more for the solo female travelers out there, and can be used to deflect unwarranted attention. If a guy's annoying you at a bar and won't leave you alone, tell him you have a boyfriend. Take a photo of you and a male friend before you leave to travel and show them the photo of you together. Have a believable story and it'll be much easier to avoid the harassment. "Sorry, I Can't Remember the Name of My Hostel"
If you meet someone that seems to be taking a little too much interest in who you are, be sure to put your guard up and make sure you don't give too much away. If someone asks where you're staying, pretend that you can remember the name of your hostel and only describe it to them in vague terms. The last thing you want is someone knowing exactly where you're staying. In some parts of the world, the touts can be unbearable. In these situations, simply telling them you don't speak English and shrugging can be enough to deter them. If they try and find out which language you do speak then continue to shrug until they give up and walk away. It'll give you more space and a less stressful travel experience. "I'm Traveling With a Friend"
As frustrating as it is, solo travelers are targeted more than any other type of traveler. If you're in an uncomfortable situation or don't want to give too much of yourself away, say that you're travelling with a friend but spending the day apart to explore different parts of the city. It'll make you seem like less of an easy target, especially if you're female. Happy and safe travels ladies!